I could say lots of kind things about Olivia and go on and on about how creative and refreshing and down to earth she is or how I will be eternally grateful that she married my little brother. But one thing sums her up quite nicely. 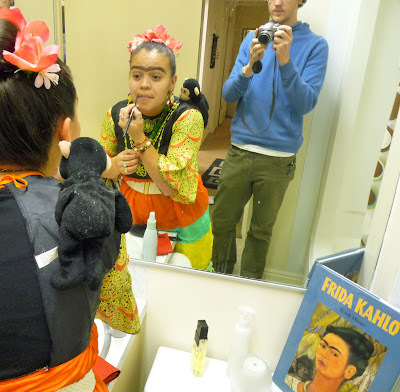 She was Frida Kahlo for Halloween. that does sum it up. Love you!! And I love that you appreciate this costume as much as I hoped all the people would at the party I attended who asked "who is Frida Kahlo?"